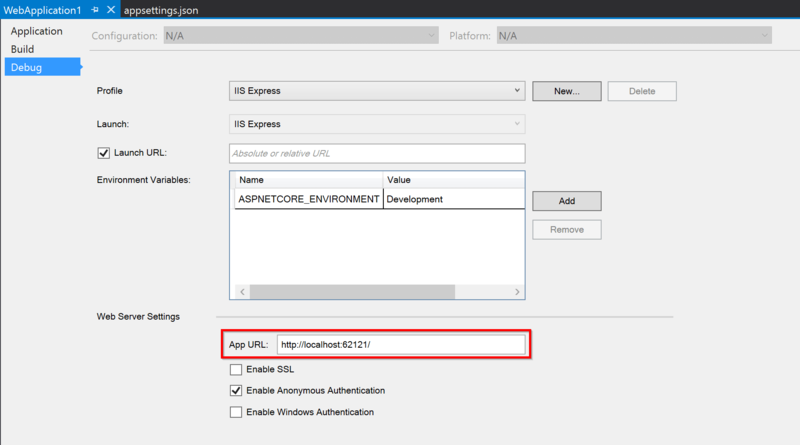 In this blog post, we'll see how easy it is to authenticate a user with any OAuth2 service using the new generic OAuth middleware in ASP.NET Core. Check out the repo to get the code. 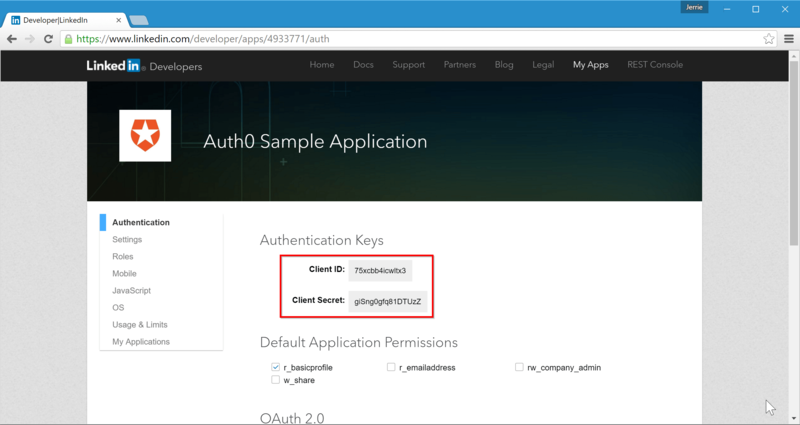 TL;DR: In this blog post, we'll see how easy it is to authenticate a user with any OAuth2 service using the new generic OAuth middleware in ASP.NET Core. Check out the repo to get the code. 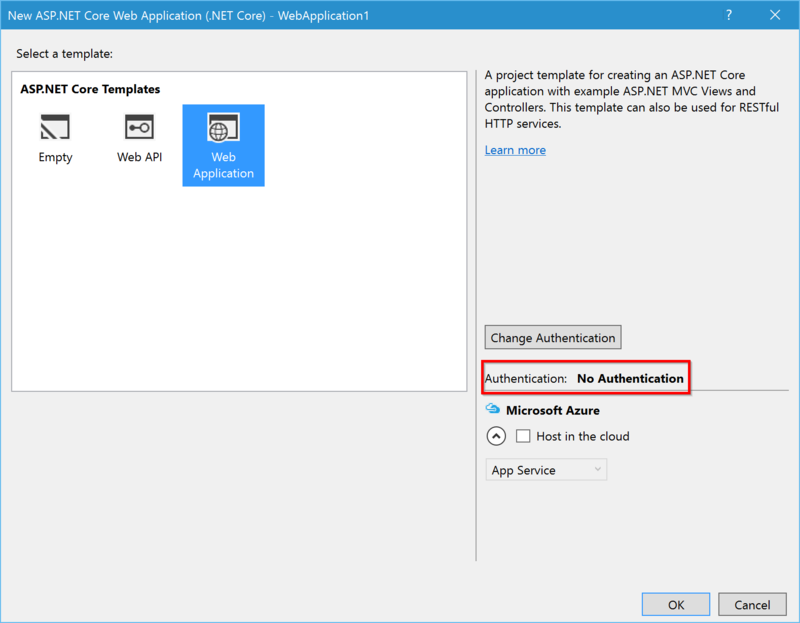 In previous versions of ASP.NET, you could allow users of your application to sign in using their social media accounts by using the external authentication providers. The support for these external authentication providers were, however, limited to the most popular ones such as Facebook, Twitter, Google, and Microsoft. Open Source projects tried to address the gap, but this meant that a custom provider had to be written from the ground up for every single one of these external authentication services. Most of these services are however based on OAuth2, so in ASP.NET Core, Microsoft has supplied a generic OAuth2 provider which allows you to add authentication for any OAuth2-based services with a minimal amount of code. A Client ID and Client Secret which is typically obtained by registering your application with the service's Developer Portal or similar service. 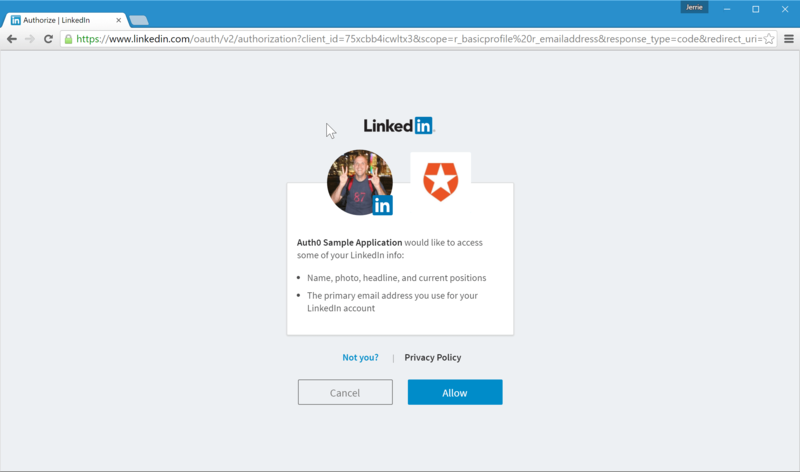 In this blog post, I will show you how you can allow a user of your application to sign in with their LinkedIn account, by making use of the generic OAuth2 middleware which is available in ASP.NET Core. This blog post is based on Release Candidate 2 and assumes that you have the correct tooling installed. 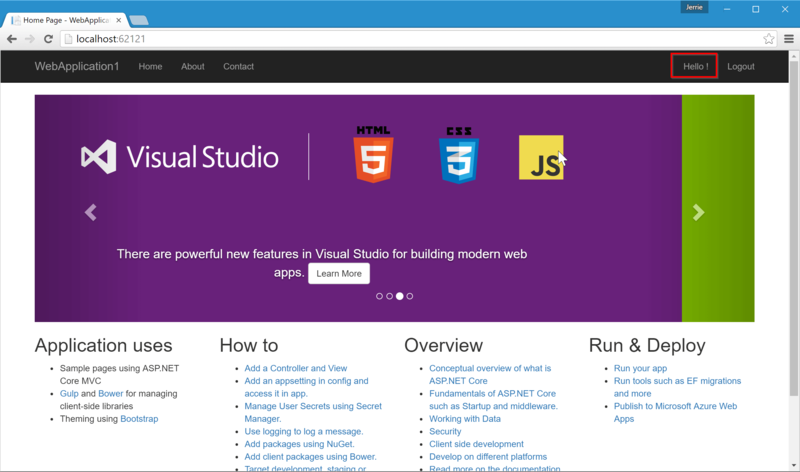 I am using the Visual Studio tooling, but you can use the ASP.NET Yeoman generator and Visual Studio Code as well if you prefer. 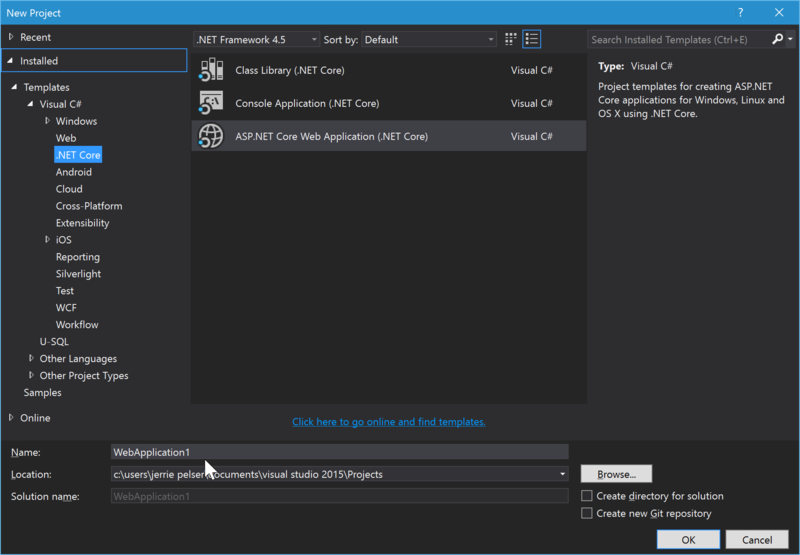 In Visual Studio, create a new project (File > New > Project), and select ASP.NET Core Web Application (.NET Core). Enter a name of the application and click OK.
Next up, you will need to register your application in LinkedIn and obtain a Client ID and Client Secret. Go to the LinkedIn Developer Portal and select My Apps from the top menu. Click on the Create Application button. You will need to complete all the information for your application, and once you are done click on the Submit button. If you are using Visual Studio, the packages will automatically be restored when you save the project.json file, but if you are not using Visual Studio then remember to run dotnet restore at this point. For the OAuth middleware options, we set the AuthenticationScheme toLinkedIn. The ClientId and ClientSecret is obtained from the Configuration. The CallbackPath is set to /signin-linkedin and this correlates with the value we registered in LinkedIn as an Authorized Redirect URL. The correct values for AuthorizationEndpoint and TokenEndpoint was obtained from the LinkedIn OAuth documentation. To obtain the user's profile information we configure the UserInformationEndpoint property to point to the /v1/people/~ endpoint which will return the details for the authenticated user. We also limit the fields we will return from LinkedIn to the ID, Formatted Name, Email Address and Picture URL. For more information on the available fields, you can refer to the Basic Profile Fields documentation on LinkedIn. Lastly, we configure the Scope to request access to the user's basic profile information and email address. When a request is made to the /login route, the LinkedIn authentication scheme will be challenged, which will invoke the OAuth2 middleware and redirect the user to the LinkedIn website to authenticate themselves. For the /logout route we simply sign the user out of the Cookie middleware, which effectively signs them out of the application. One final thing we want to do is to add a Login button on the website, so open the /Views/Shared/_Layout.cshtml file and in the nav bar section add some logic which check if the user is authenticated and then send them either to the/logout or the /login route. Also, if the user is actually authenticated we will display a greeting that will display the string "Hello [user name]". Clicking on this link will take the user to a profile page which we will develop later in this blog post. Notice however that the website does not display your actual name. The reason for this is that the OAuth middleware does not actually retrieve the user's information from the UserInformationEndpoint. Because each service returns a unique payload for the user information endpoint, there is no way in which a generic mechanism could be developed for this, so you will have to write the code to retrieve the user's information and set the correct claims. The OAuthOptions class contains an Events property which will allow us to subscribe to certain events during the OAuth authentication process. The specific event we are interested in is the OnCreatingTicket event which will be raised as the middleware is creating the authentication ticket. At this point, we need to make the call to the UserInformationEndpoint and set the relevant claims. // parse the resulting JSON to extract the relevant information, and add the correct claims. 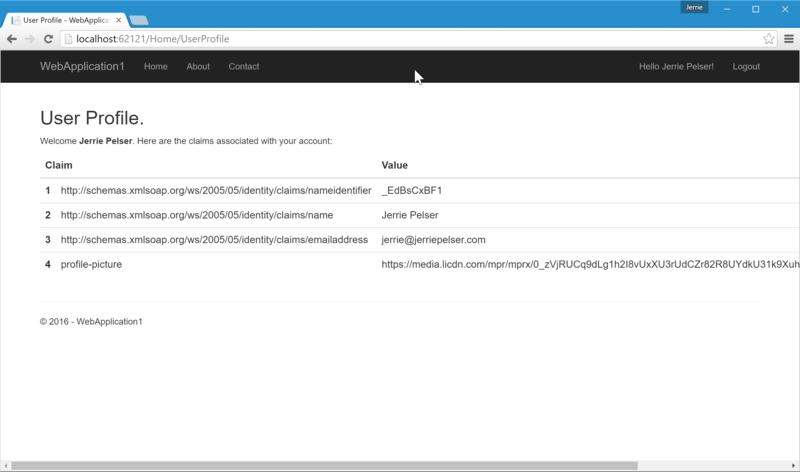 The code above will set some of the standard claims, such as theClaimTypes.NameIdentifier and the ClaimTypes.Name claims. The latter is the one which is used to display the user's name when you make a call toUser.Identity.Name. The final thing we need to do is to create a User Profile page. All this page will do is to display the claims which is set for the user. In your application, you can use this to display a nice profile page based on the user's personal information. Auth0 also supports allowing users to sign in with their LinkedIn accounts, along with 30+ other Social providers. 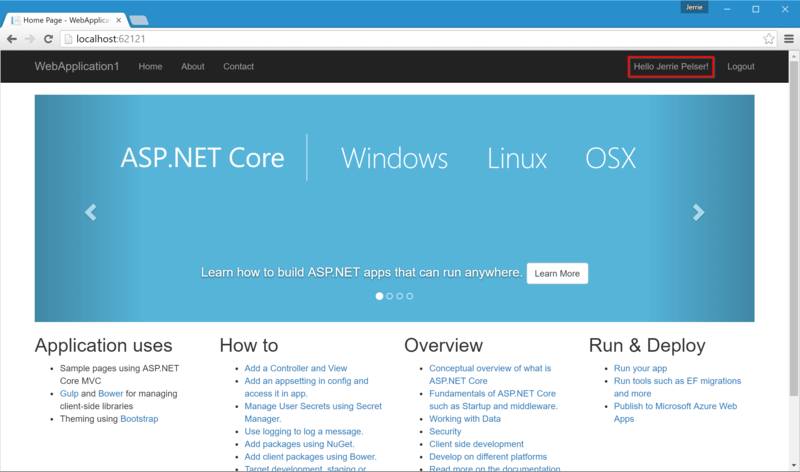 If you are using ASP.NET Core you will be pleased to know that because we use industry standards such as OAuth2, OpenID Connect, and JWT, you can implement Auth0 in your ASP.NET Core applications using the standard ASP.NET Core libraries. For more information on how to use Auth0 to allow users to sign in to your MVC applications, please look at our ASP.NET Core quickstart. 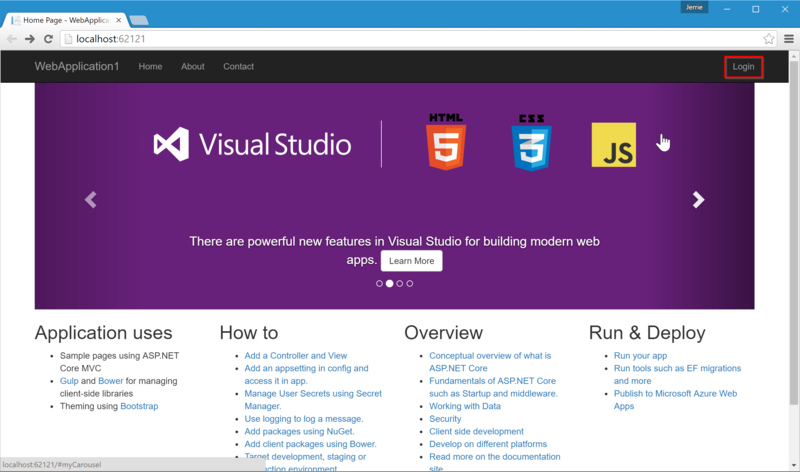 If you want to secure your Web API using Auth0 issued JWTs, then have a look at our ASP.NET Core Web API Quickstart. 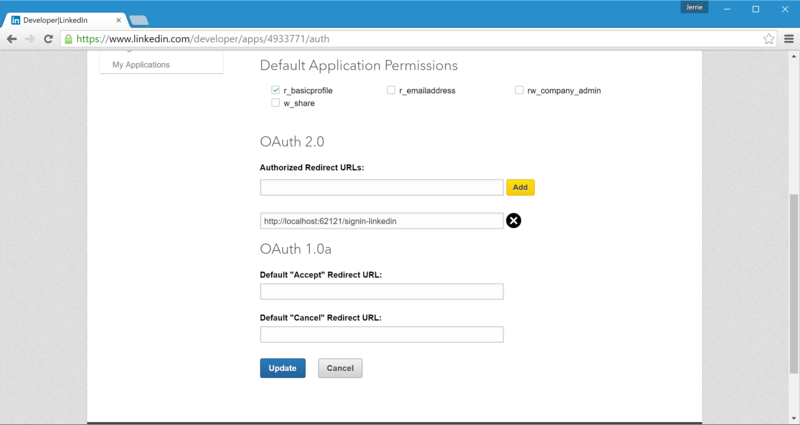 The new generic OAuth middleware in ASP.NET Core makes it really simple to authenticate your users using any OAuth2 service. All you need have is a Client ID and Client Secret for the relevant service, as well as know the service's OAuth2 Authorization and Token endpoints. With that information and a little bit of custom code, you can enable logging in using the relevant service in a couple of minutes. Published at DZone with permission of Jerrie Pelser , DZone MVB. See the original article here.